It seems as if snowfall does not want to leave the heavens of Pakistan since last one week the otherwise green environment of northern Pakistan has turned completely white. The roads have been carpeted white, the trees are covered with soft snow and the mountains look like as if they have started to wear white clothes. Since past few days, the cities of Gilgit, Murree and other adjoining areas are under the influence of winter-friendly weather system that has been causing snowfall with intervals. But something special has also happened to the people of Islamabad that is snowfall at Margalla hills. What is so special thing about this snowfall? It occurred after six years, its duration was longer than previous recorded snowfall. Islamabadis were seen making snowman that they only used to make in Murree or saw it on television in foreign countries. People enjoyed hot tea and other eatable items that are famous in winter month. Shivering and shaking but enjoying and with enthusiasm, almost everybody was playing with the snow even throwing it at the passers-by. Some were not lucky as they reached the Margalla on Friday night to witness the falling ice flakes but they also managed to experience the white gift. Does it snow in Islamabad? In the city snowfall does not occur but hailstorms are very common that cause a lot of damage depending upon their intensity and duration. The queen of hill was again filled with tourists from around the country as news of first winter snowfall started to make headlines. 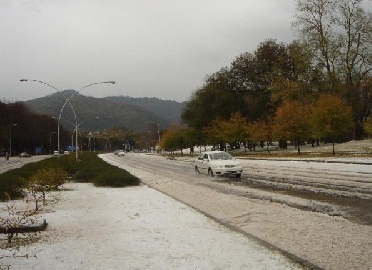 But it was not Murree that took people by surprise but nature decided to cast a white shadow near Islamabad. You read it right, snowfall occurred in the capital city but it was not Islamabad that got the amazing gift but 5,000 foot high the Margalla hills received the snowfall. 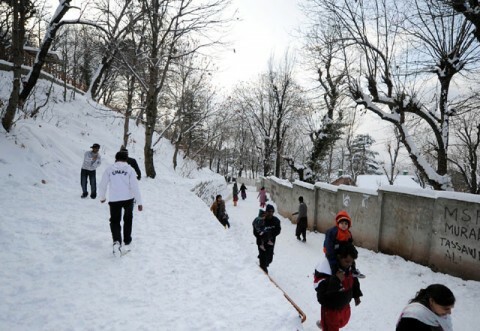 Last time snow occurred in Margalla was 2006 the quantity of the snow was only three-inch but it was welcomed by the people who enjoyed this once in a life time experience in the city. More magic coming to Margalla? Well the recent snowfall for Margalla is over as the weather system moves eastwards but wait another weather system is also approaching the country in coming days. Will it do the magic in Margalla? ← Weather at Home – Be a Weather Maker! it is a great to see that Islamabad or margalla hills received the snow in such a manner. it is also great to see that karacity received a great winter.